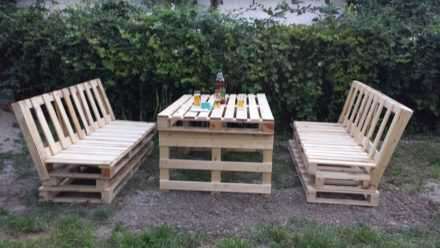 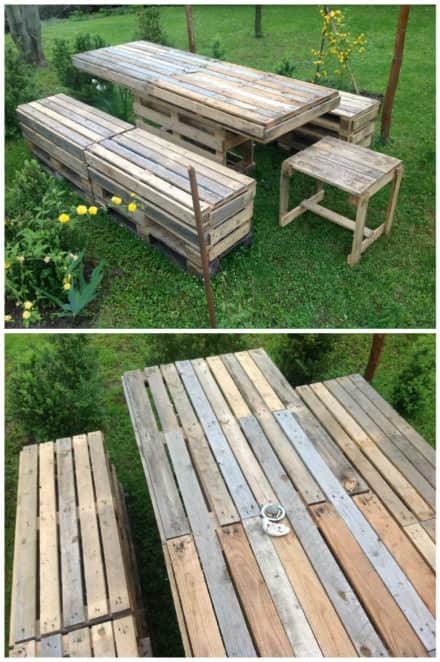 > Search for "garden table"
Just two old pallets were used to make this garden table. 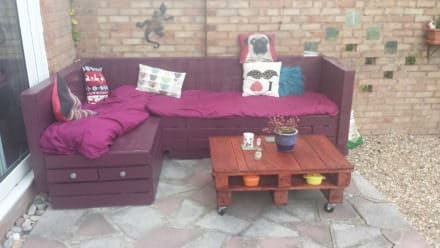 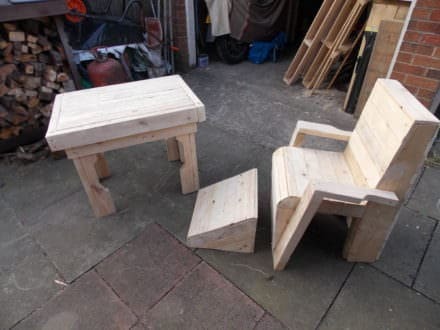 Mum needed something for a small garden…I made some furniture’s with recycled pallets! 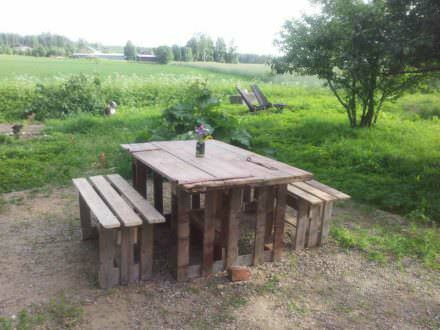 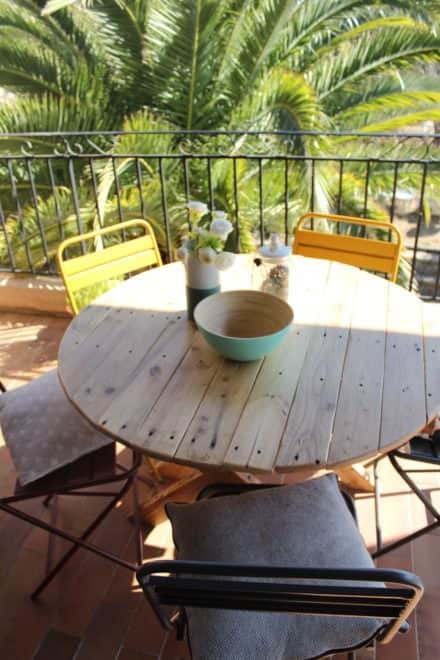 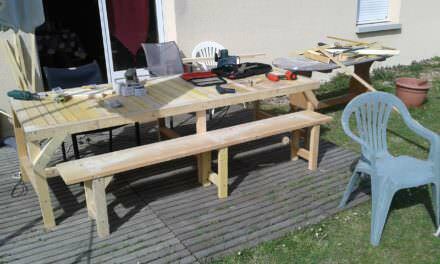 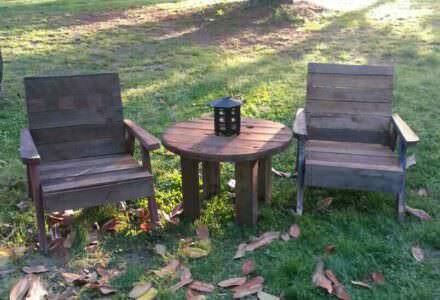 Garden table has a barn door as the table top, but other parts are made from recycled pallets. 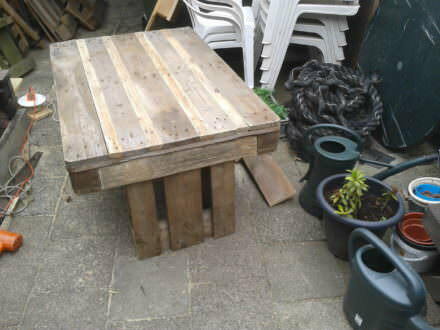 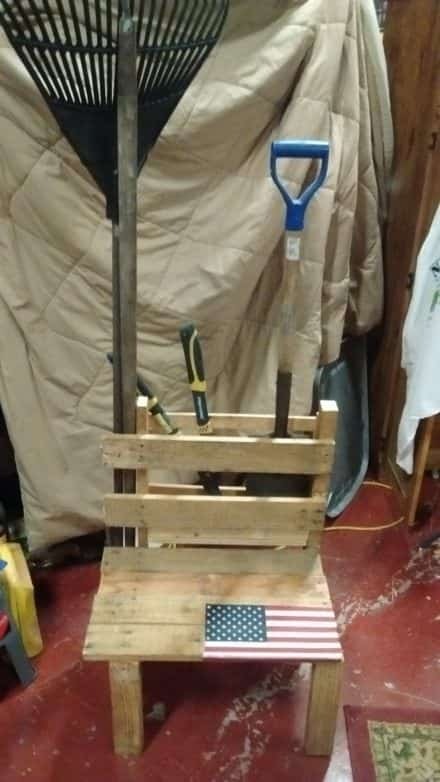 A table from pallets for my garden! 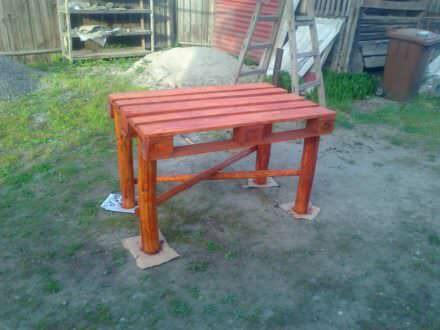  In Romania Praid! 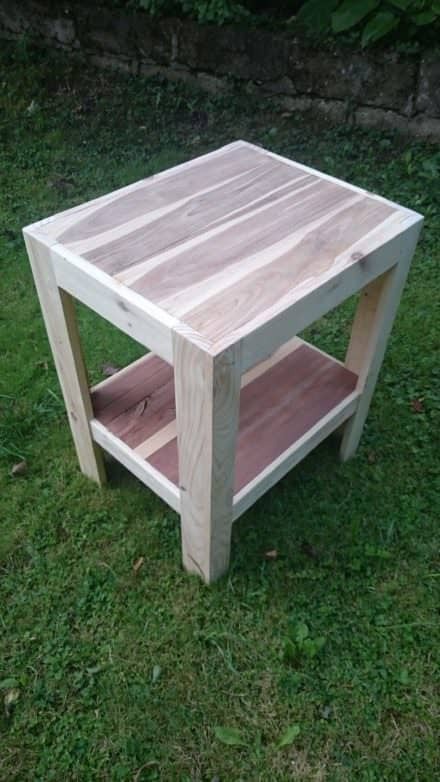 A small garden coffee table made entirely out of reclaimed pallet wood.